We have previously set the foundation to some very important parts of the Japanese culture so that we can begin using them in our lessons. 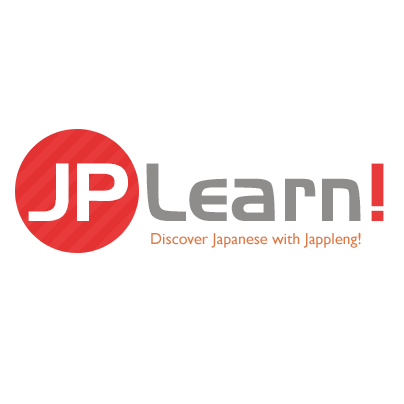 In this lesson, we will be learning how to speak about an object, how to ask questions, and how to modify what you already know in Hiragana to make something entirely new. Let’s get started! This will be the first time that we’ll be talking about desu in detail. A copula is a connecting word that connects a verb to the subject. In English, it is often taught as a “Linking verb” rather than a copula and it works very much the same in Japanese. However, the copula “desu” may also be used with certain verbs to emphasize meaning such as politeness. The copula “desu” may not always be used and in some instances “da” is used instead as we will learn later. We have already discussed a little about particles in previous lessons and today we need to learn the particle “wa”. This particle is a topic marker, not to be confused with a subject marker (ga). In this lesson, we’ll be focusing strictly with topics rather than subjects. A topic is something that the speaker wants to talk about such as their book, favorite thing, etc… The topic marker (wa) is also used to discuss things that are relative to the speaker or listener. In a later lesson, we will be learning about the subject marker (ga) and how it differs from (wa). Please note that when “wa”(わ) is used as a particle, it is written as “ha”(は). To indicate something that is near the speaker, “kore” would be used. The English equivalent would be “this”. We've just learned that kore translates to "this"
Please take notice that the copula (desu) is added to emphasize that THIS really IS a book. Technically desu can be left out and it would still make sense however it is best practice to use “desu” whenever applicable. The particle or rather topic marker “wa” tells the listener that the subject is a book. This is a pencil. Enpitsu Kore wa enpitsu desu. This is a mechanical pencil. Shaapupenshiru Kore wa shaapupenshiru desu. This is a pen. Pen Kore wa pen desu. This is a ballpoint-pen. Bourupen Kore wa bourupen desu. That is a table. Teeburu Sore wa teeburu desu. That is a chair. Isu Sore wa isu desu. That is a door. Monko Sore wa monko desu. That is a pillow. Pirou Sore wa pirou desu. Are (あれ) is used to refer to something that is neither near the speaker of the listener such as an airplane flying in the sky, or the sound of the radio in another room. It can be translated quite literally as “That, over there”. Please remember to pronounce this correctly in Japanese. That (over there) is an airplane. hikouki Are wa hikouki desu. That (over there) is a car. kuruma Are wa kuruma desu. That (over there) is a building. tatemono Are wa tatemono desu. That (over there) is a house. ie Are wa ie desu. Now that you have learned how to say this, that and that over there, you are now ready to learn how to ask questions in Japanese. Please accept today's assignment and when you have completed it, you may continue forward to the next lesson.